I wonder how much frustration the driver was feeling? A partner sitting next to you, telling you that are an idiot for not checking the street out first? 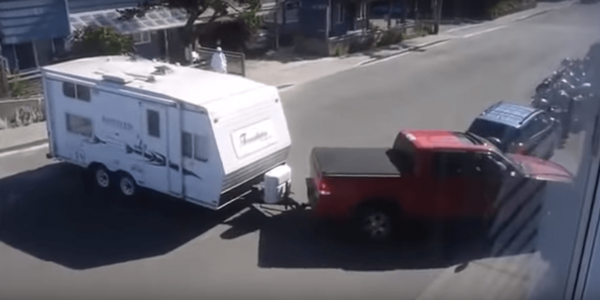 At least we all now know after watching this video clip, is not to enter a dead end street with a hitched caravan, without checking there is somewhere to turn your rig around at the end.